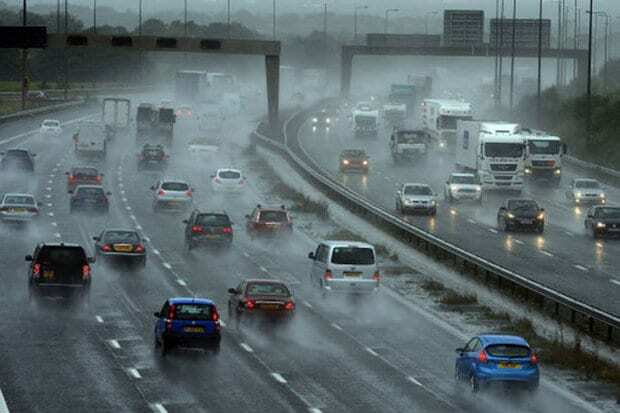 UK #Weather update – Flights, trains and roads disrupted as flash flooding has caused ciaos overnight. National Rail said services across central England were expected to remain disrupted until 09:00 BST. Parts of Oxford experienced flash flooding overnight. Didcot Parkway station was more than a foot underwater and 100 people had to be evacuated from the Old Fire Station arts centre. The Met Office has issued a yellow warning for rain is in force across northern and western parts of the UK from 09:00 BST. It comes after storms lashed the UK on Thursday, bringing problems to the rail and road network, with airlines also affected. Easyjet cancelled 48 flights in and out of Gatwick Airport. And Ryanair said some flights were delayed, while “a small number” had to be cancelled because of the weather. Heavy showers and thunderstorms are due to continue throughout Friday – the start of the meteorological summer. Rail passengers face delays and cancellations, and roads are closed. Great Western Railway trains, which serve south Wales, and southern and western England, are running more slowly than usual after Network Rail imposed a precautionary blanket speed restriction. England and Wales will begin with heavy clouds and some very heavy rain, with thundery showers, especially in the west. Inland the cloud will break towards the afternoon and it will bring sunshine and some heavy showers. Northern Ireland and Scotland will see warm sunshine and scattered thunderstorms with torrential downpours.